This coming Wednesday, Ten40 Acappella from Bowling Green State University will be hosting our next installment of "Aca Live." 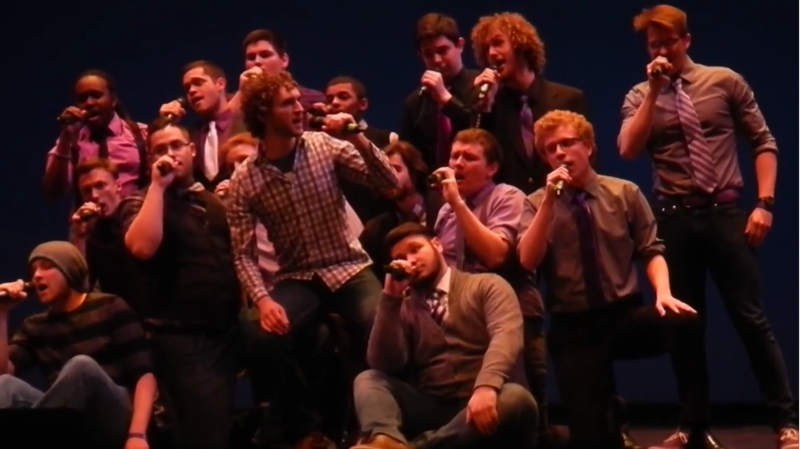 And if it's half of the caliber of what they brought to last year's ICCA contest, we're all in for a real treat. In the group's cover of The Strokes' "Reptilia" the all-male group dazzles with an all-out, in your face, Garage Rock production that is sure to energize any audience. And yes, we do mean production as every aspect of the performance is methodical, well-thought out and best of all, highly entertaining. See for yourselves, then be sure to tune in to "Aca Live" this Wednesday at 10 PM/ET.